This is a two part epoxy resin that is a surface applied, damp proof membrane. It will provide a barrier preventing residual moisture movement under hydrostatic pressure and a highly effective barrier to oil and other contaminates. It prevents moisture or oil from affecting subsequent floor coverings such as vinyl, carpet, tiles, laminate flooring, parquet flooring, latex screeds and and many other floor surfaces. 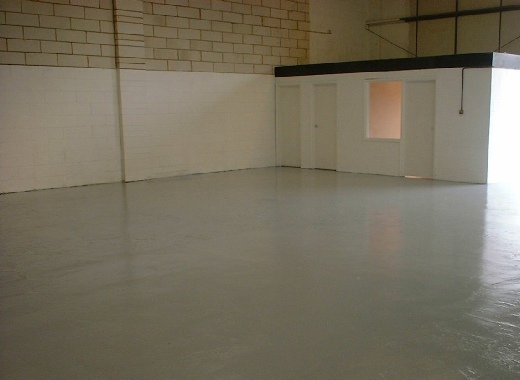 We have been manufacturing a wide range of high performance floor coatings for over 30 years. All our epoxy resin floor coatings have been designed and developed with advice from applicators and clients to provide a lasting solution. Very simple to mix and easy to apply. This is a two part flexibilised epoxy resin coating that, when fully cured, will provide a chemically resistant, water and vapour proof coating suitable for both interior and exterior applications. It is ideal for internal tanking of basements and as protection of buildings from water from the ground. It is used for the complete waterproofing of gutter linings, internal tank linings, balconies and subways. This is a two part flexibilised epoxy resin coating that, when fully cured, will provide a chemically resistant, waterproof Epoxy Resin Coating suitable for both interior and exterior applications. It is ideal for concrete and metal chemical storage bund tanks, balconies, flat roofs, metal stairways, gutters and all other areas requiring waterproofing and high chemical spillage resistance. ALL YOU NEED FOR 1 PERSON TO APPLY 2 COATS ! 1 x 12” Roller Frame, 2 x 12” Roller Refiils, 1 x 1-1.8 Alum Ext Handle, 1 x Mixing Paddle, 1 x 15 Litre Paint Tray, 2 x 2” Wood Paint Brushes, 4 x Nitrile Gloves. Website prices DO NOT include VAT or carriage charges. These are calculated during the buying process for most UK mainland online sales and confirmed by email for North Scotland, off shore or sales overseas. One size spiked shoes for walking across wet resin floors. 30mm spikes. Concentrated industrial cleaner, especially good on epoxy floors. For marking out Epoxy Line Coating and straight edges. 48 mm x 50 metres per roll. For extra safe grip when using roller frame handles and steel trowels. 1-1.8 metre aluminium extension handle. For fast efficient mixing of all resin based products. 15 litre plastic scuttle for use with a 12" roller. Inexpensive, W/Bristle wood disposable 2”brush for cutting in edges. A 12" B/Stripe with bonded nylon. Use with 12" Roller Frame. As above but in a money saving pack of 2 x 4” roller refills. Professional 12” roller kit that includes a 12” frame, 1-1.8 metre extension handle and 12” blue stripe roller refill. As above but in a money saving pack of 6. As above but in a money saving pack of two. A 4” yellow stripe roller refill. Fluff free. A handy 5 Ltr plastic bucket for mixing or painting, with lid. 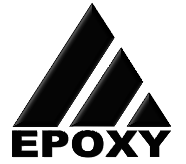 Protect s eyes when mixing and applying epoxy products.